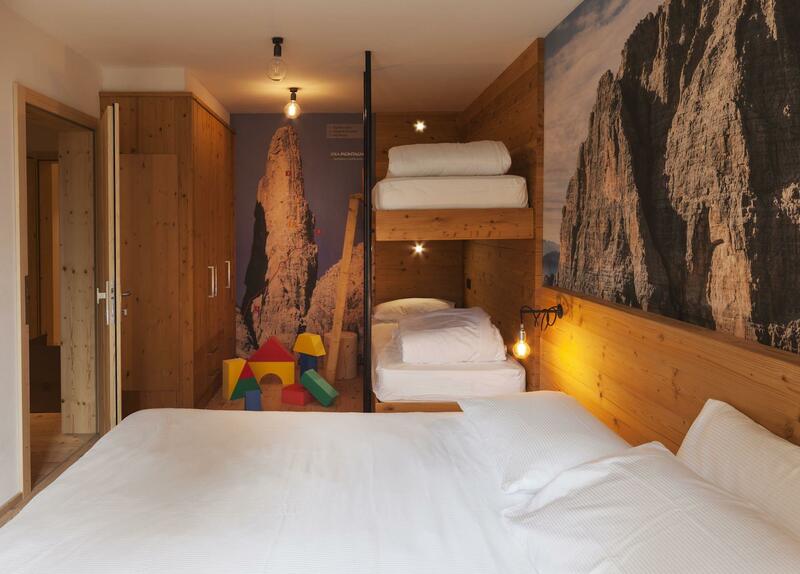 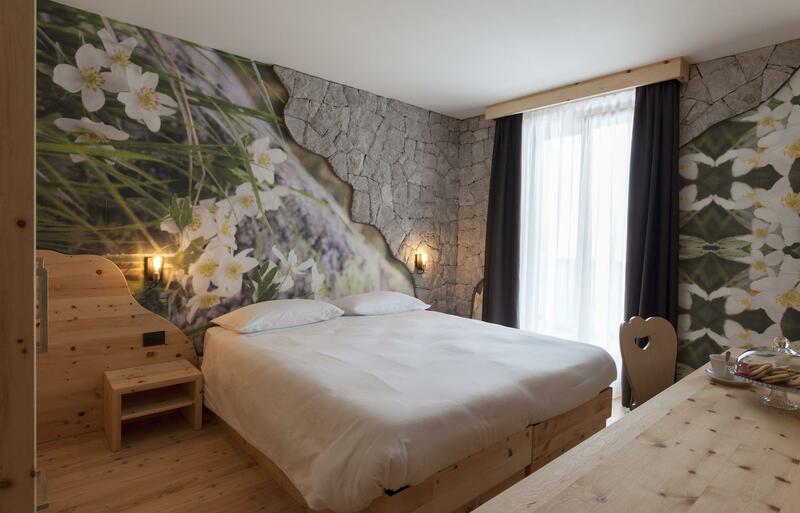 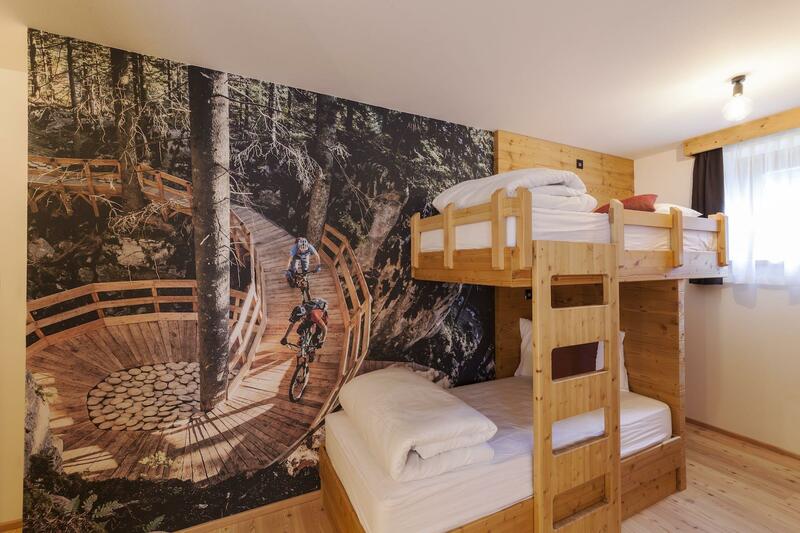 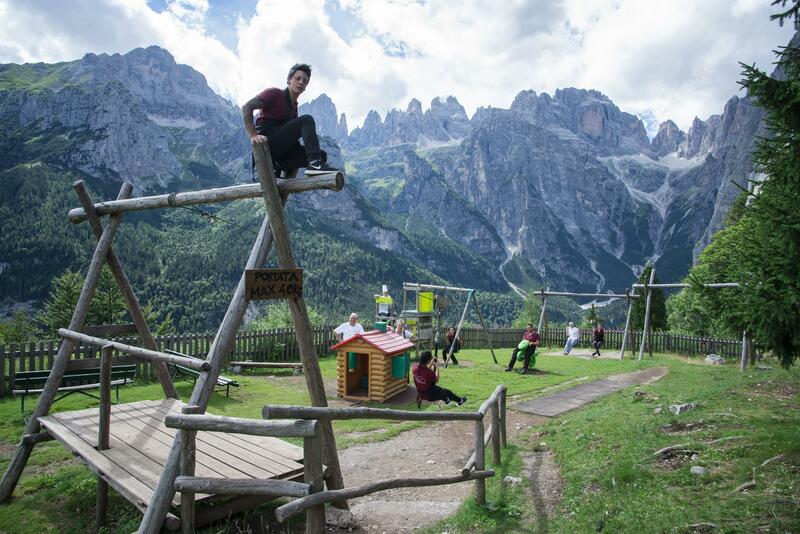 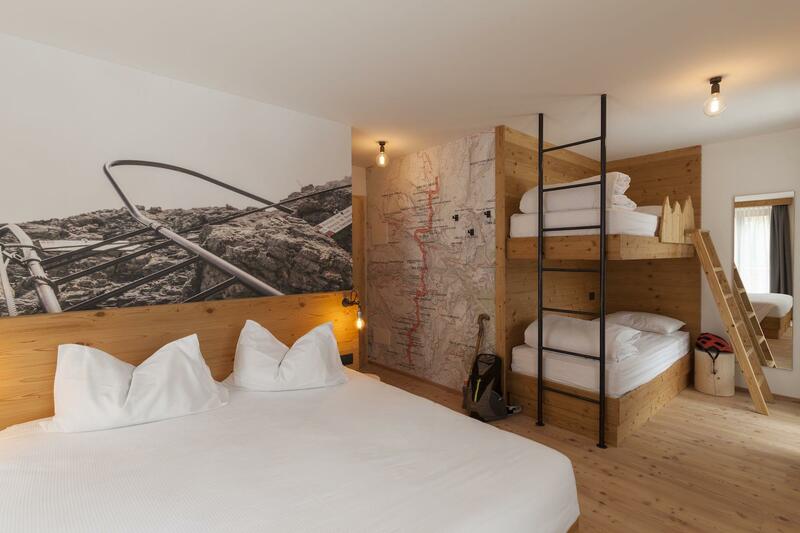 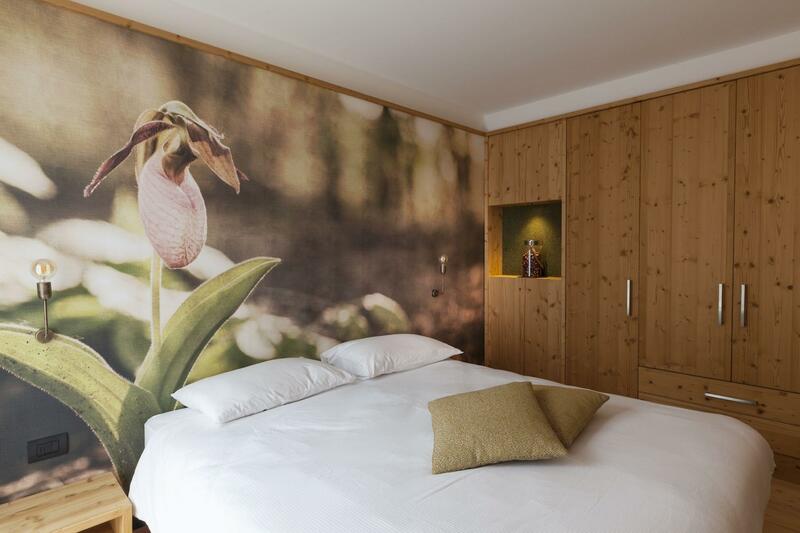 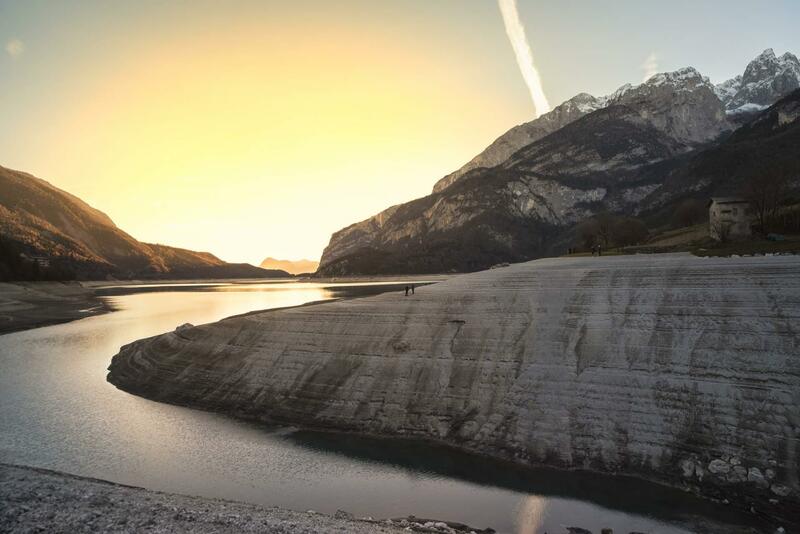 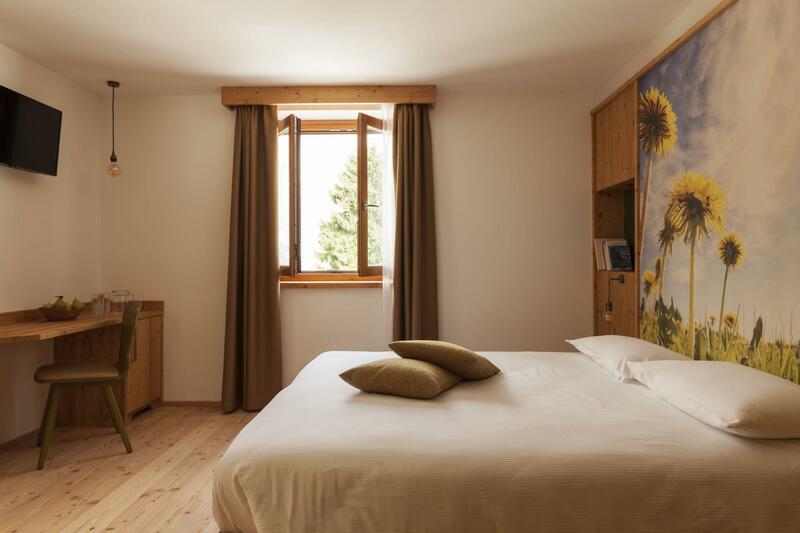 Sleeping in a charming Rifugio in Trentino is a captivating experience like no other. 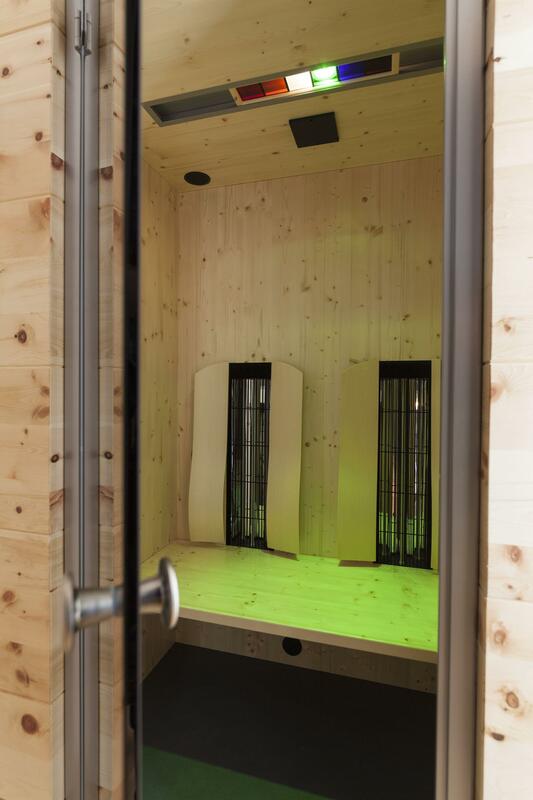 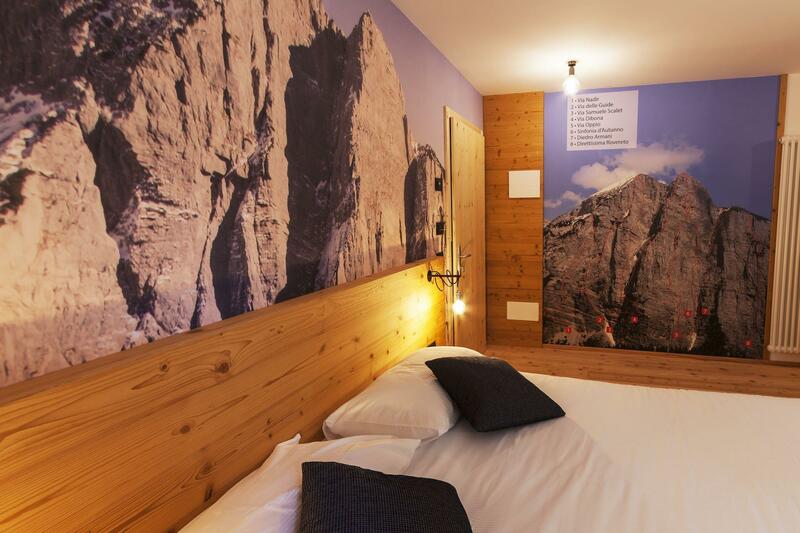 There is nothing more authentic and exciting than sleeping in our Rifugio in Trentino. 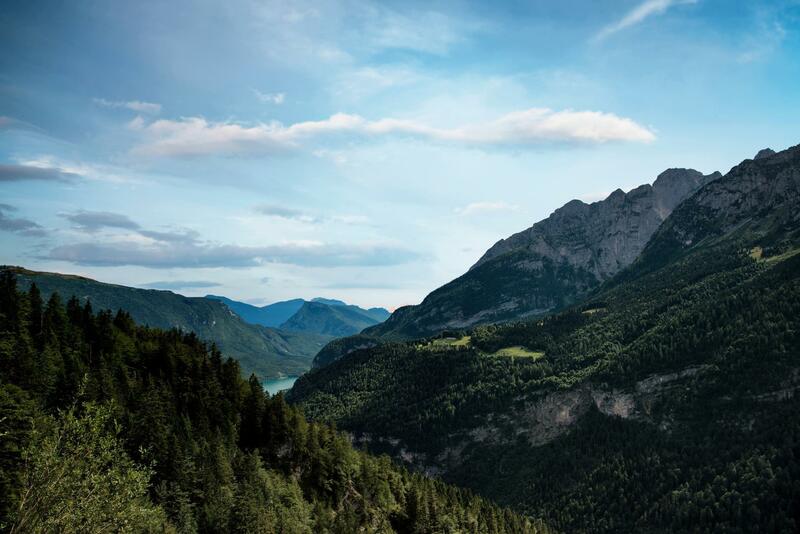 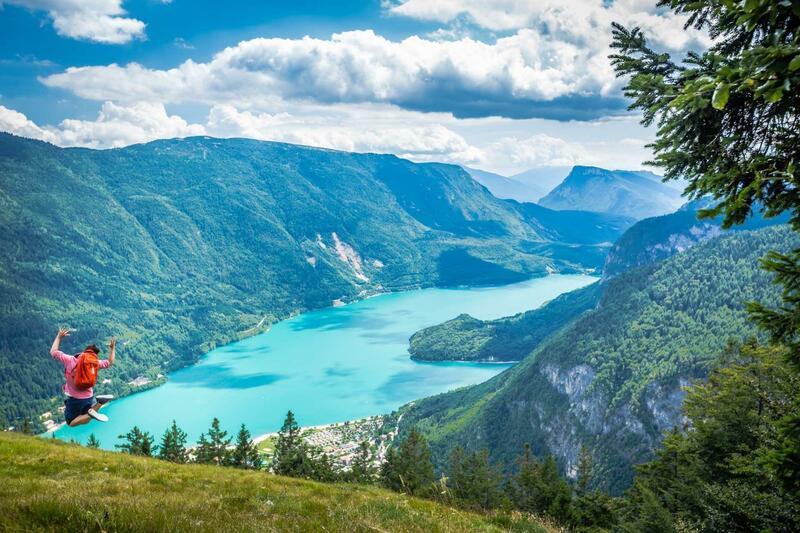 Surrounded by unspoilt nature and stunning landscape. 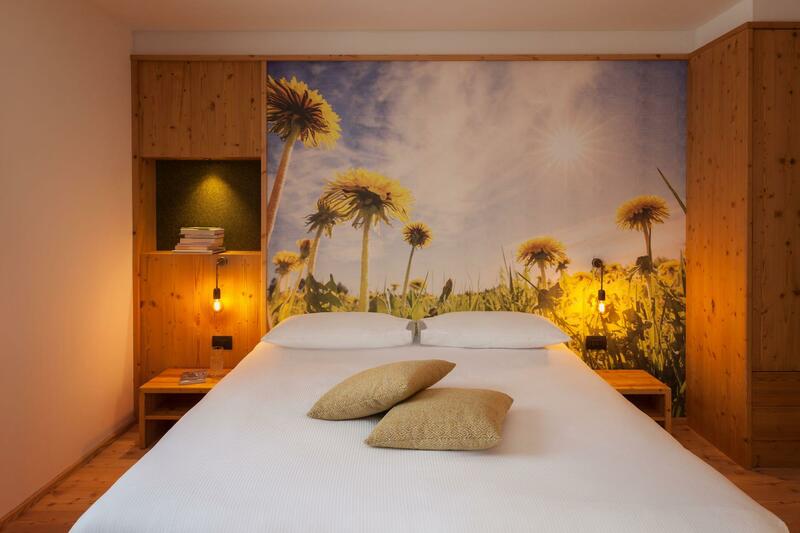 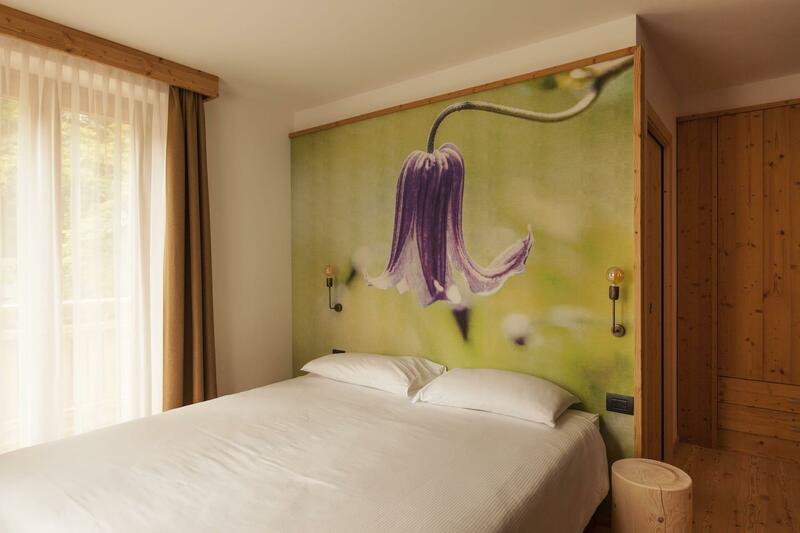 Each room has been especially designed for tourists and is equipped with the essential comforts. 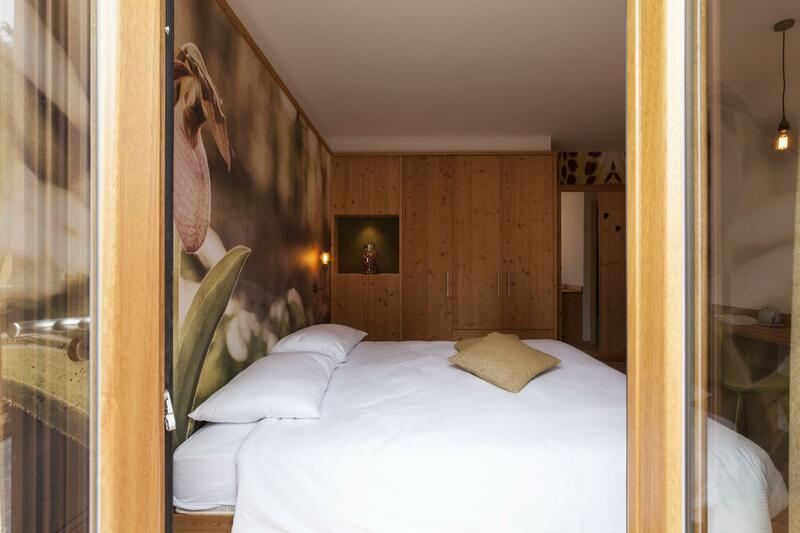 In addition, each room has its own distinctive traits that make it unique. 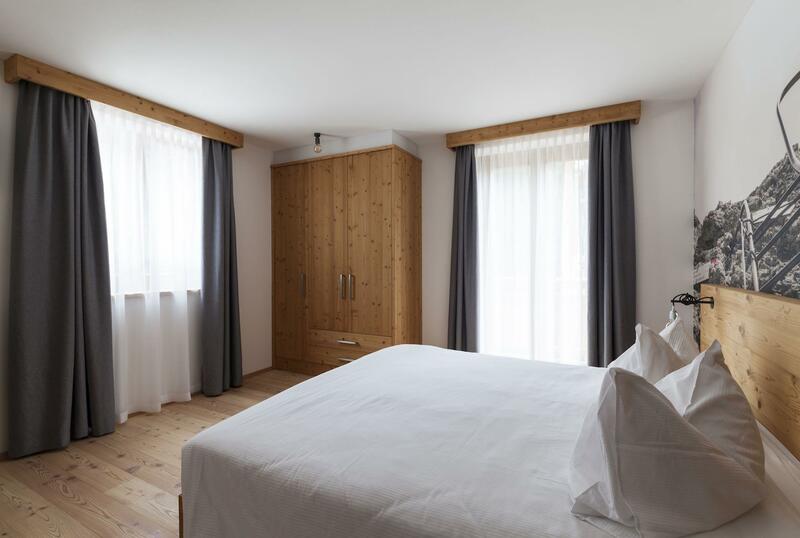 Architecture and design have been combined to ensure that every guest is received in a warm and welcoming Alpine atmosphere. 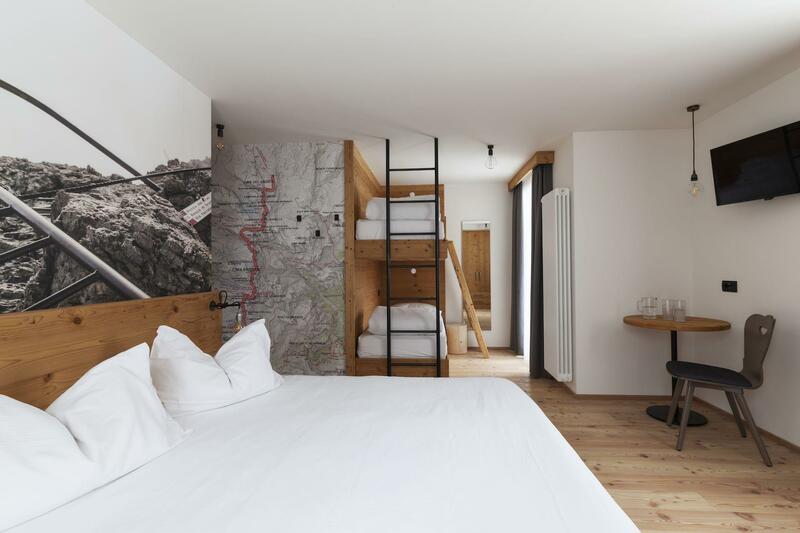 The choice of colours, materials and furniture is based on respect for the area and the mountains. 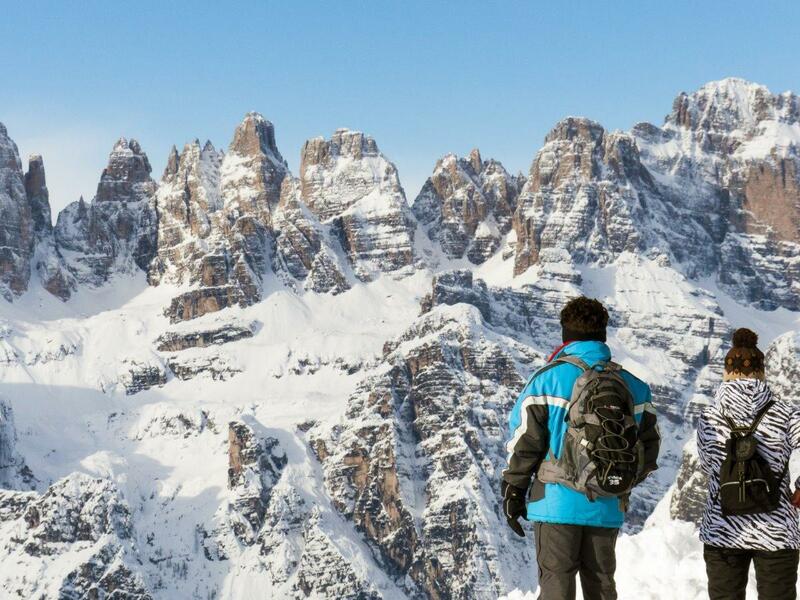 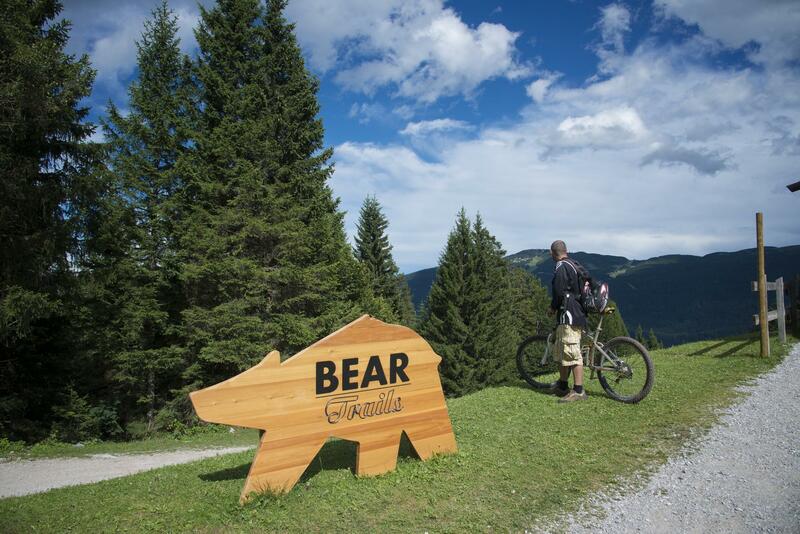 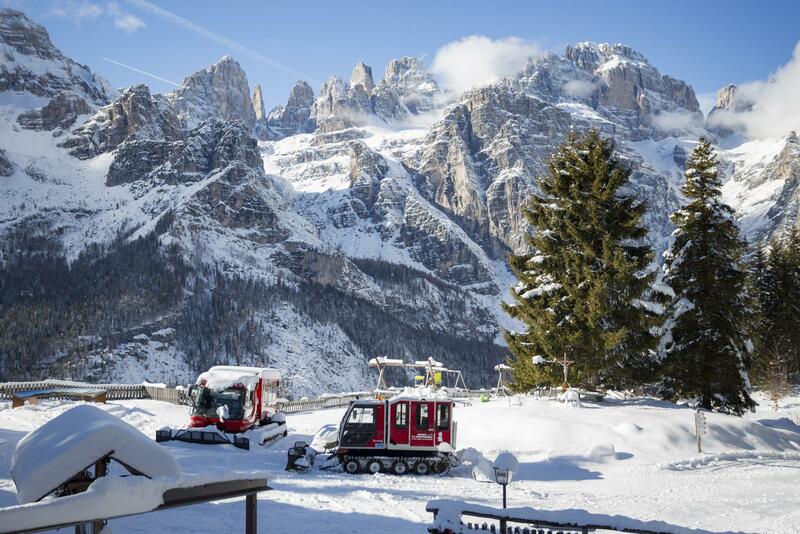 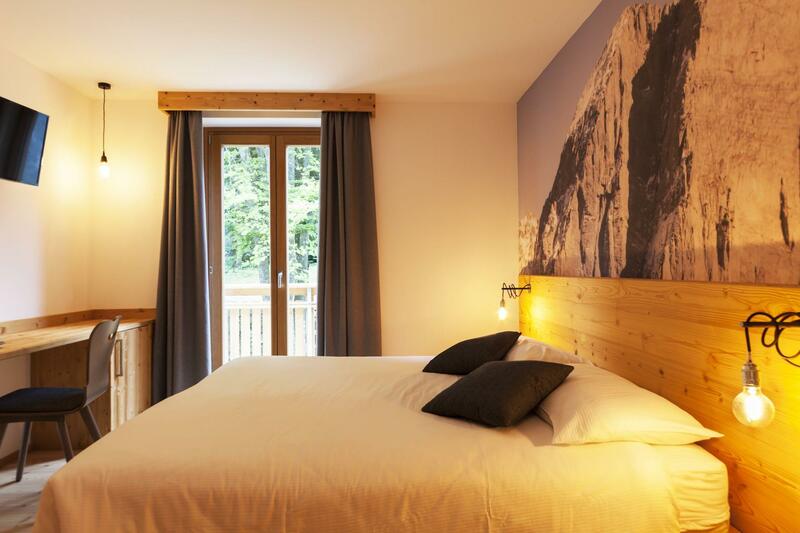 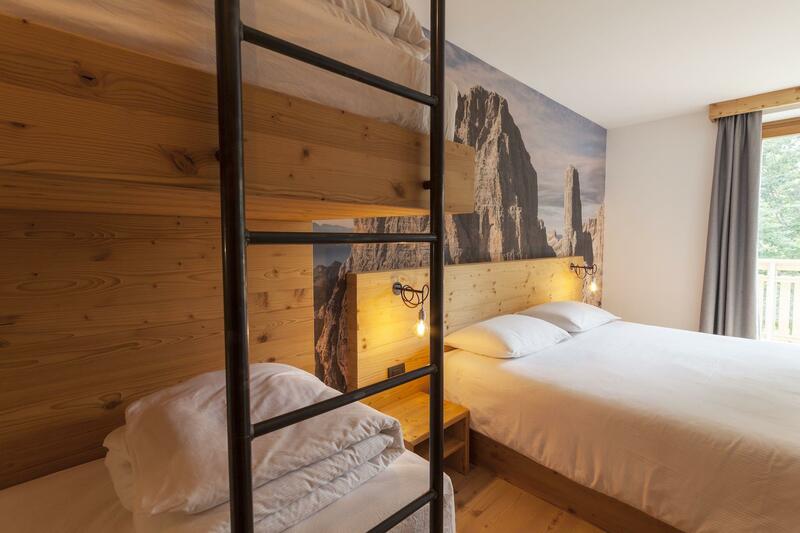 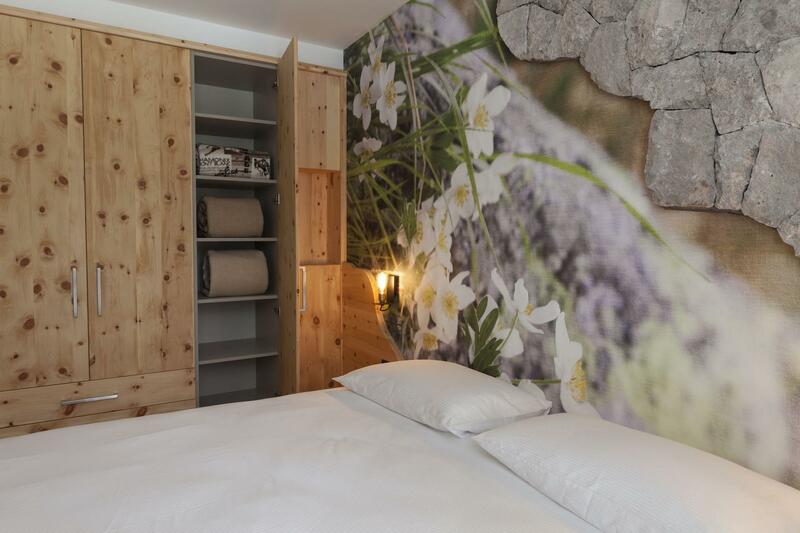 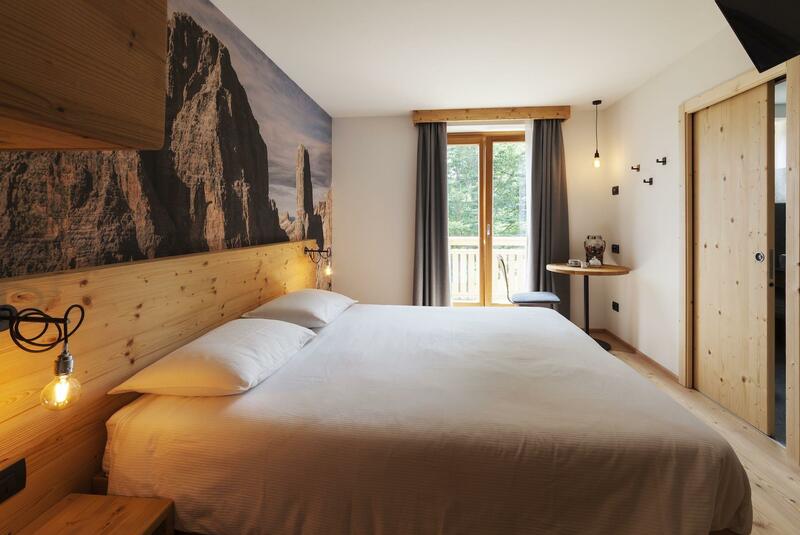 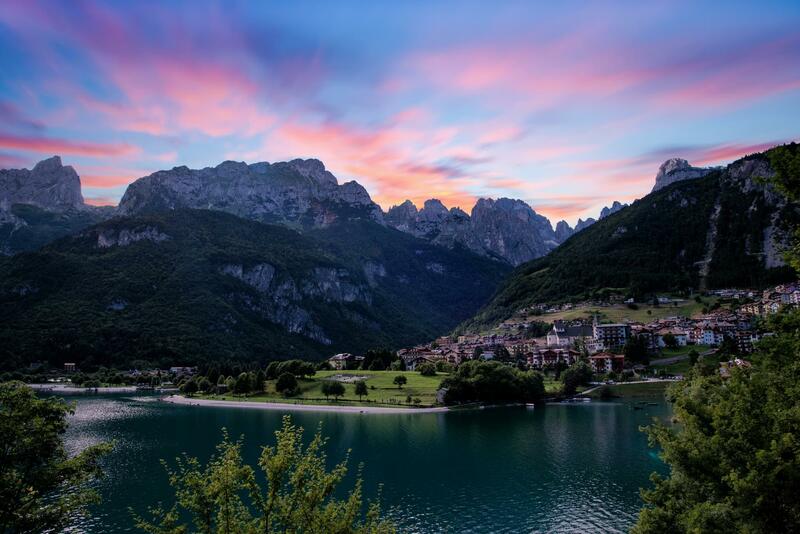 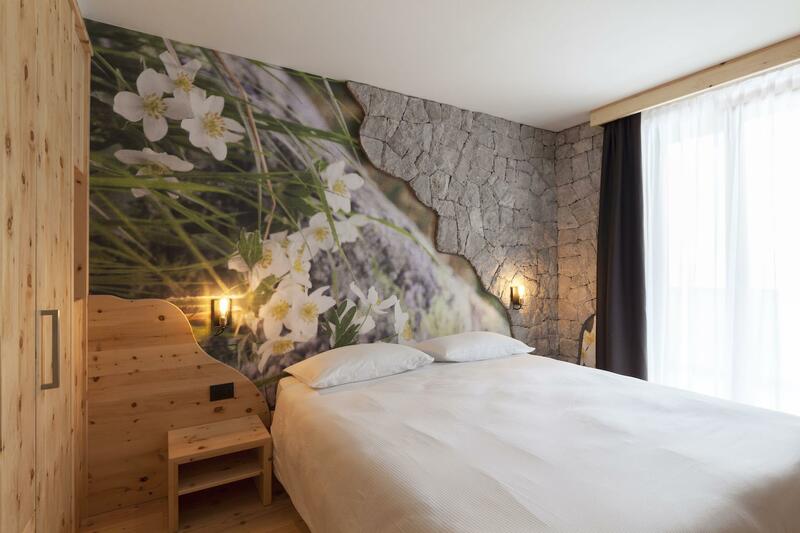 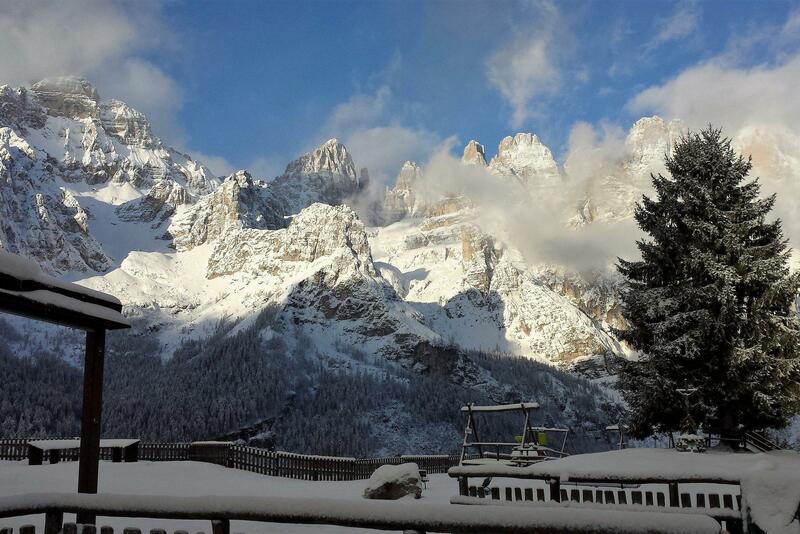 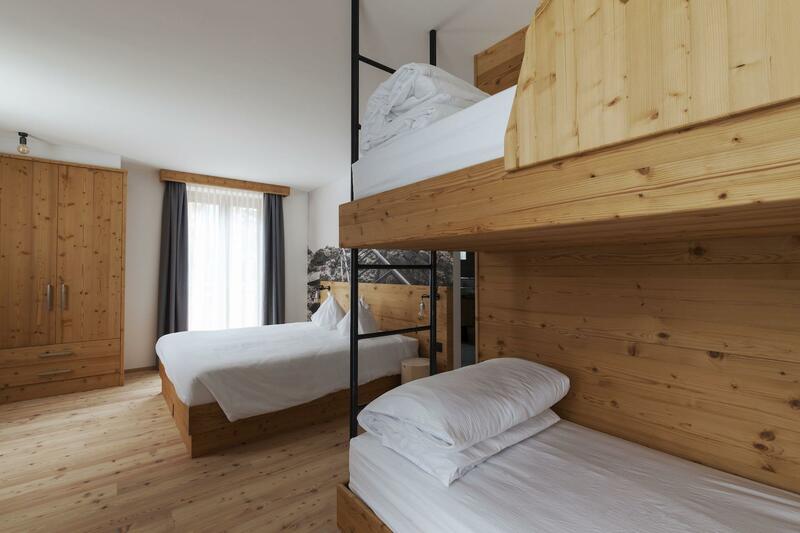 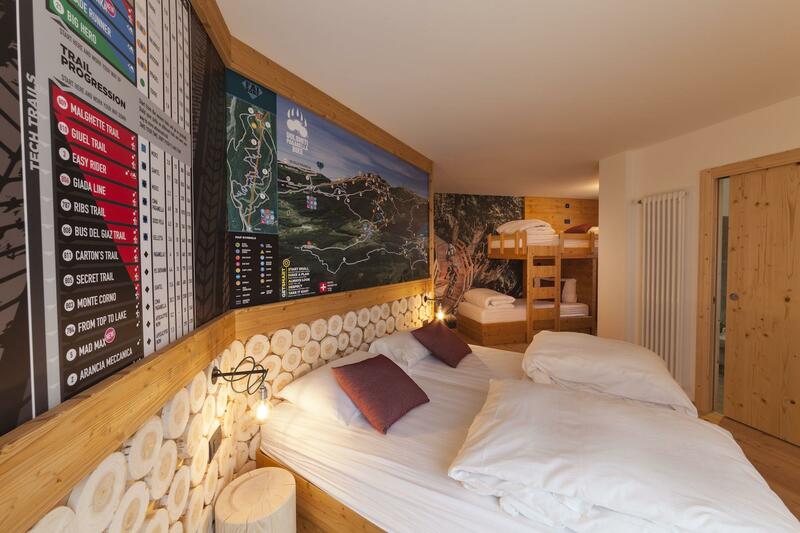 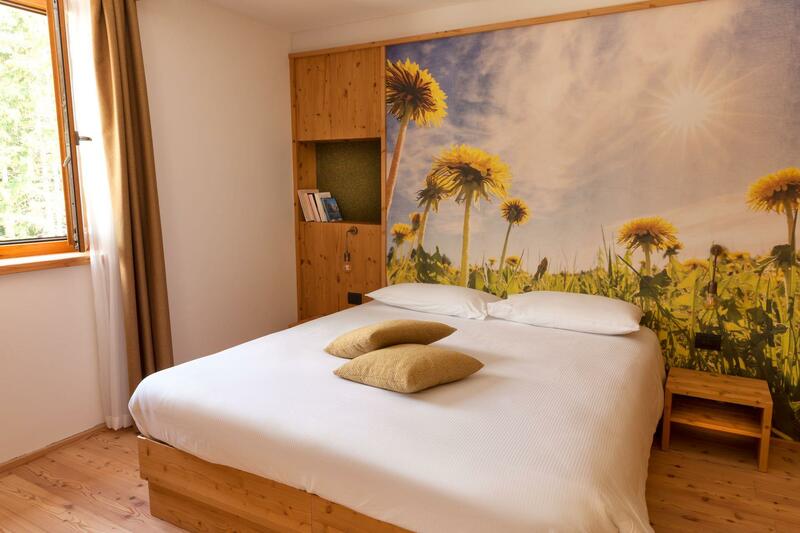 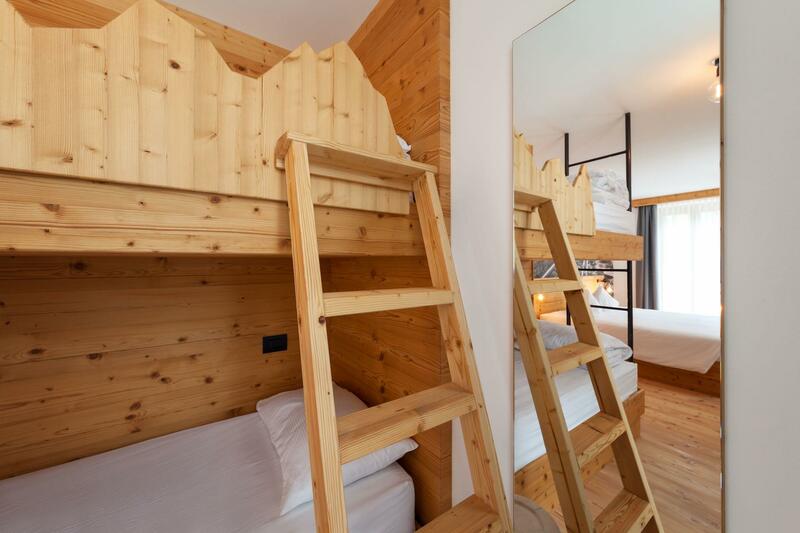 Quadruple room with balcony with "Campanil Bass" view, a majestic peak of the Dolomiti Brenta. 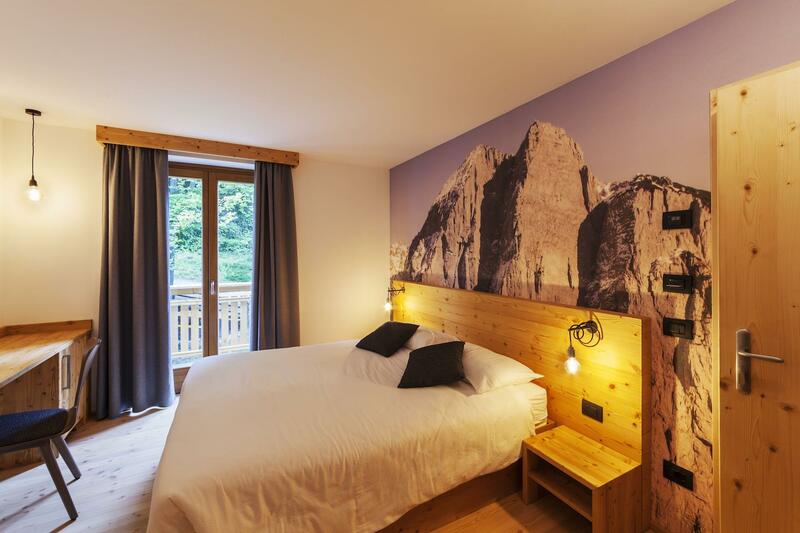 Double room with balcony with Paganella’s peak view. 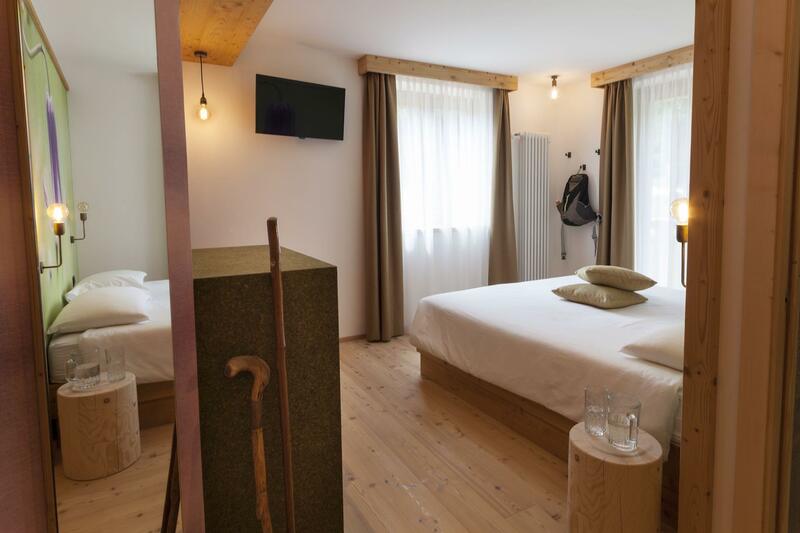 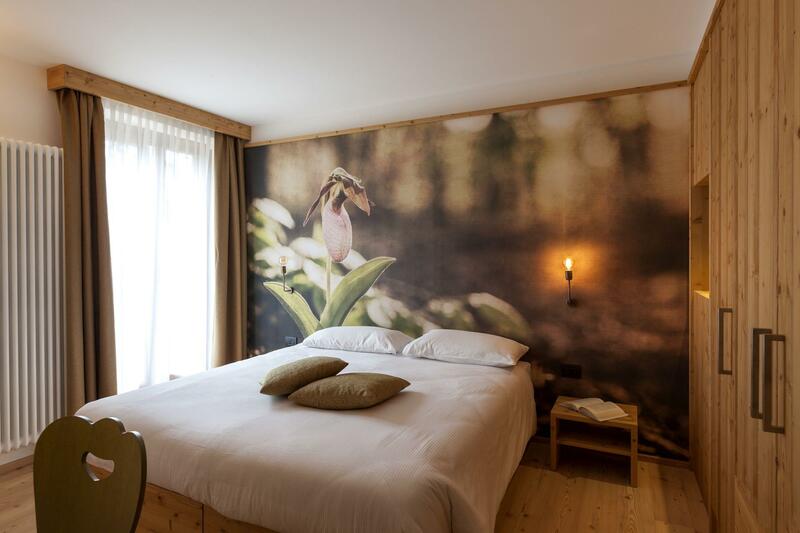 Romantic double room with sauna and Brenta view balcony. 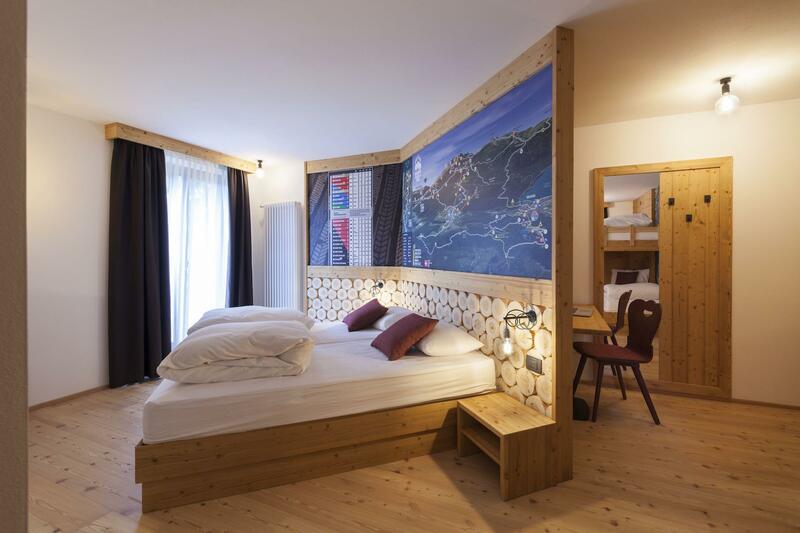 Double room with Croz dell'Altissimo view balcony. 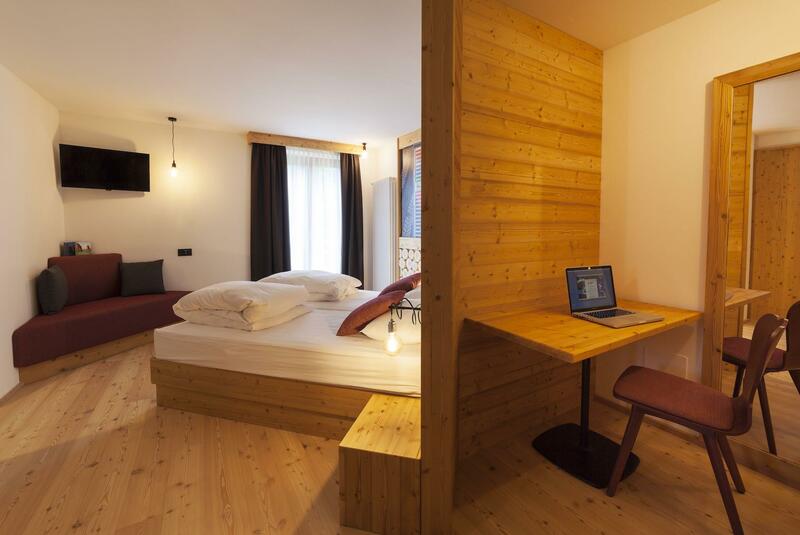 Double room with Brenta view balcony. 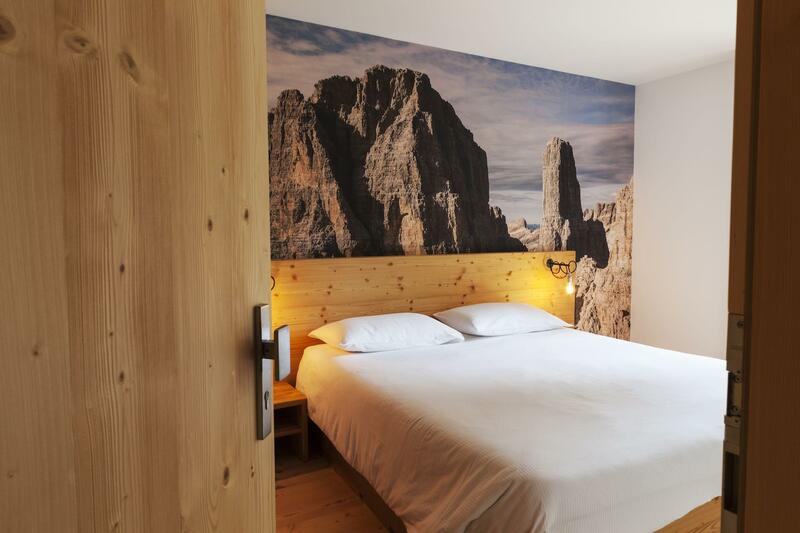 Quadruple room with Dolomites view balcony.